5 years have passed since we opened our warehouse and first outlet at Tan Boon Liat building. Since then, there has been lots of sweat, laughter, coffee, and of course, food. 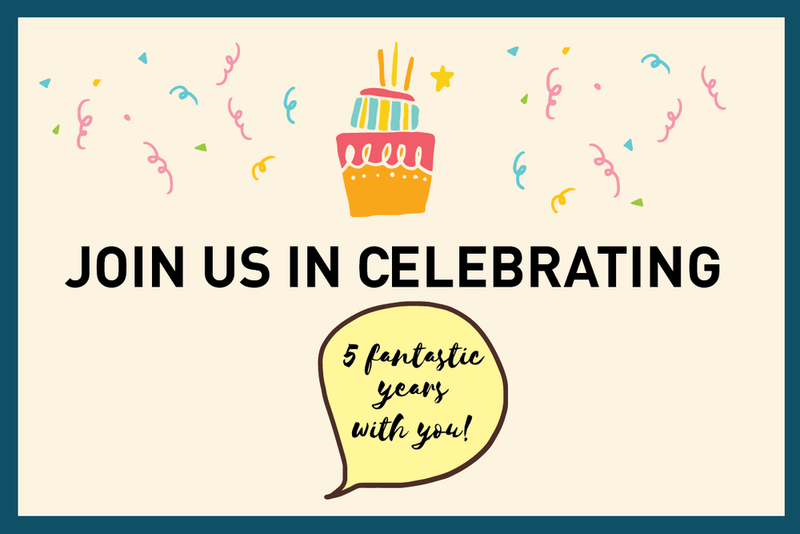 This year, we are celebrating all things five; 5 outlets, 5 concepts, and mainly, 5 fantastic years with YOU, our loyal fans and supporters since day one. Join our celebratory activities in-store and online for the whole month of May! THE PROVIDORE'S 5TH BIRTHDAY - ACTIVITIES & GIVEAWAYS! All patrons of our outlets will get a special handmade cookie & exclusive voucher from us! Look out for us at each of the outlets! For a limited time, we are bringing back some of our most popular dishes served in our cafe over the years! Also, look out for special birthday drinks crafted by our Bar team just for the occasion! Find out more about the five most popular cheeses in our deli and try our special birthday extravaganza deli platter! More details can be found on our Facebook and Instagram pages! Take part in our exciting classes in our birthday month at a special price of $55! Simply spend above $50 to receive a FREE canvas shopping bag from us!